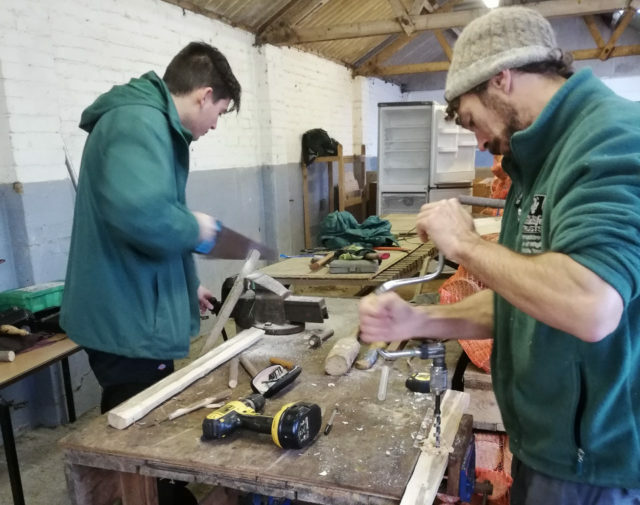 The Hampshire and Isle of Wight Wildlife Trust’s second cohort of four Woodland Apprentices are six months into their 18 month apprenticeships and are quickly developing the skills and gaining the practical on-the-job experience that will provide a valuable step-up to securing full-time permanent employment. In October the apprentices started their core skills training and there was early success to report with all four passing their National Proficiency Council Tests chainsaw assessments. Building up experience is key to becoming a safe, proficient operator. To this end the apprentices have been working across several project sites getting experience of felling a range of trees both in terms of size and species. 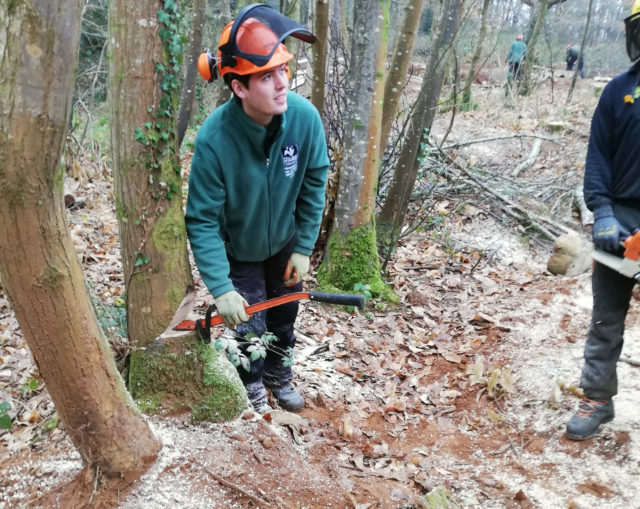 Coppicing and layering has also been covered and again, experience over a range of sites has been delivered including in partnership with the National Trust at Borthwood Copse. This is a core woodland skill and management technique which creates produce that the apprentices have also been learning about. 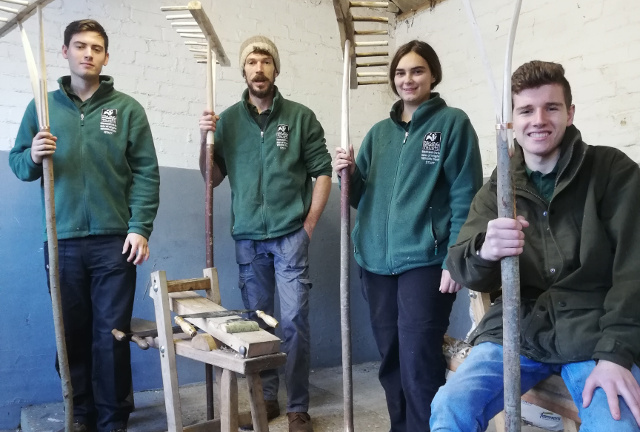 Coppice produce can be utilised in many ways and this has seen the apprentices learn about firewood, hedgelaying, charcoal and hay rake making. Attendance at Sparsholt College on Mondays see the apprentices develop their academic skills. Much of the work is focussed on evidence gathering and supporting information relating to specific units all of which is recorded in e-portfoliios. 1 Comment on "Isle of Wight apprentices seeing early successes"
Well done to Joe and you all, keep the good work up and enjoy your time working outside.